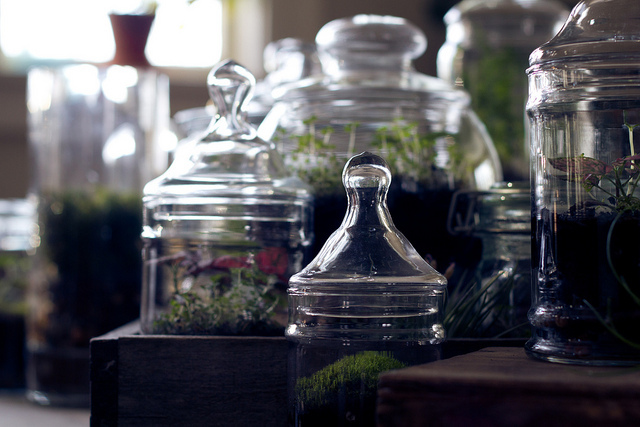 Direct your self to http://8oaksterrariums.tumblr.com/ to see some truly gorgeous terrariums by Josh Leo (and not to mention some great photography). I love the rabbit's fern terrarium in the above photo; the characteristic furry "foot" of the fern adds a lovely texture to contrast with the delicate fern fronds. Also note the longer "tendrils" of moss - a sure sign of a balanced terrarium environment supporting further plant growth. 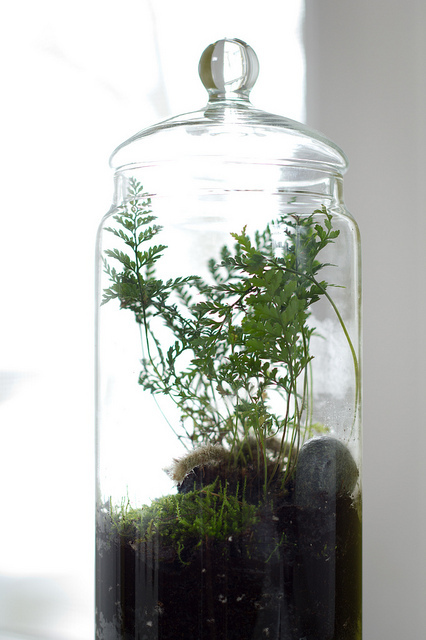 Josh also has a consice and simple guide on terrarium care here.